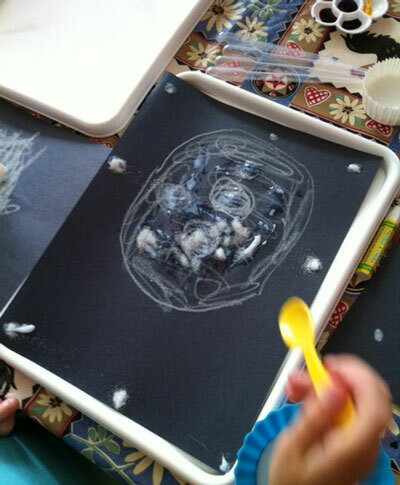 This art activity is inspired by two books ‘The Tear Thief’ and ‘I Took the Moon for a Walk’. After reading and discussing these beautiful books we talked about the moon. How it has creators and often looks like it has a face. 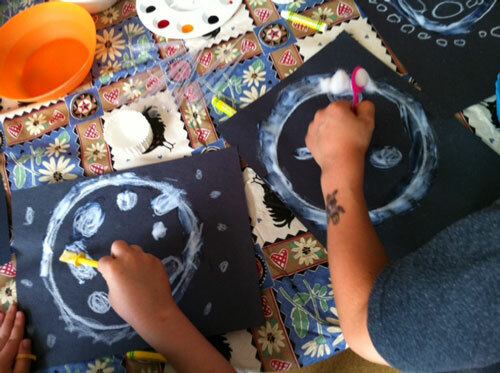 Using oil pastels the children drew a moon and stars, some even included comets. 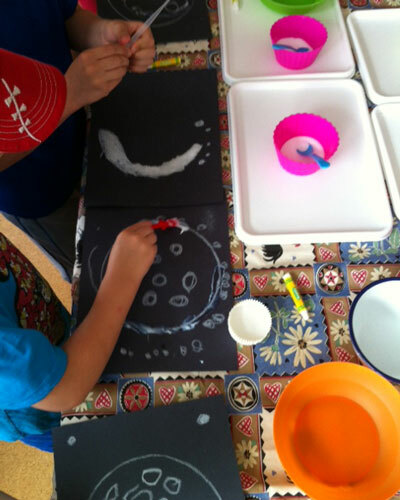 They added glue to their moon and stars. 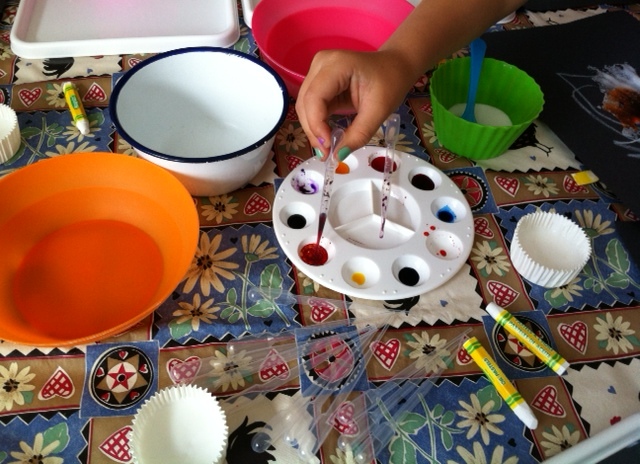 The craft cups I used for the glue were great and I didn’t worry about washing glue down the drain. Here you can see the importance of a good demonstration. 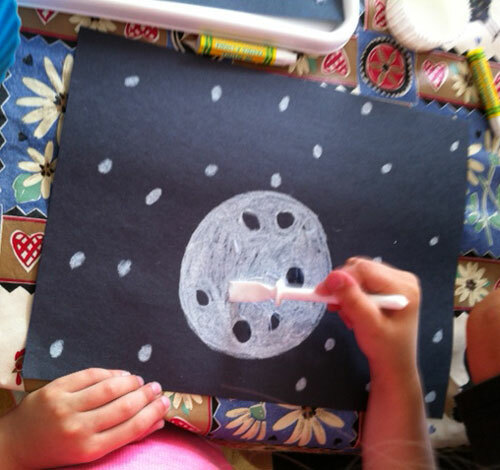 I partially coloured my moon and added glue and salt to only a part of the outline. The children followed and outlined rather than filled in their moons. Or is this a developmental concept like outlining the sun in paintings? 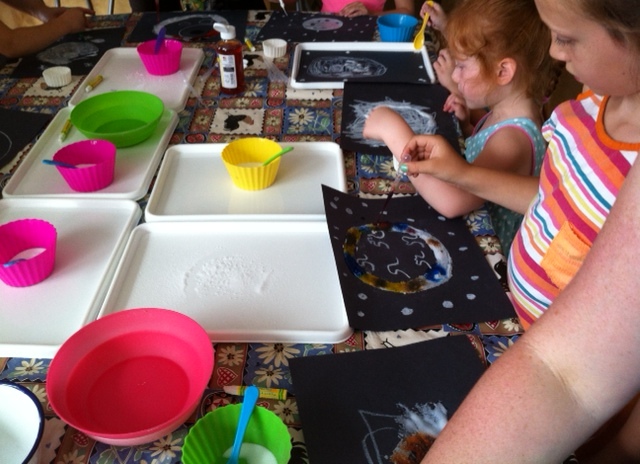 The eagerness to move on to the more messy parts of the process may have resulted in semi completed moons! Messy trays did a great job of containing the salt. Next came the process of adding tears to the moon. This is inspired by ‘The Tear Thief’. The tears were Liquid Watercolours and they were added using pipettes. This process seemed to be the highlight for most of the 14 children taking part. A set of pipettes for $3.45 is a super investment. Watching the salt absorb the paint was a thrilling experience!